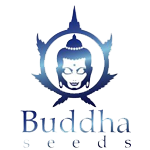 Buddha Seeds - Pulsar Feminised Seeds. Free US delivery. Pulsar is a cross between Dutch and Central American sativas. One of the most peculiar attributes is its high production and huge sativa charge. It has extremely vigorous growth so it is important to prune the tips of the plant if growing indoors. If growing outdoors it is recommended to plant it towards the end of the season to avoid it growing to a monstrous size! Pulsar's genetics give it a musky smell and a spice-like flavour, while its Haze background makes for an energising, stimulating effect. Not for beginners.